The Blades will try to extend their win streak to 6 games as they welcome the Swift Current Broncos for the 8th and final game of the East Division season series. 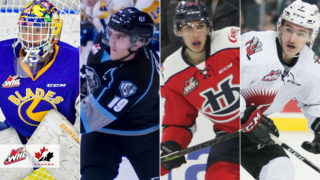 Saskatoon has locked up 2nd place in the East Division and home ice for the first round of the playoffs, but will look to add points in hopes of finishing 2nd overall in the WHL. 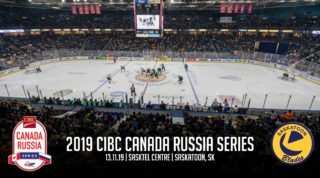 Meanwhile, Swift Current will try to snap a 2-game goalless drought and rekindle their effort from their last visit to SaskTel Centre when they beat the Blades in overtime on Jan. 26th. Brandon Schuldhaus (6,7) scored twice in a 4-2 road victory on Tuesday night over the Moose Jaw Warriors. Dawson Davidson (11) and Kirby Dach(24) also scored for the Blades… Nolan Maier made 26 saves for his 34thwin of the season. 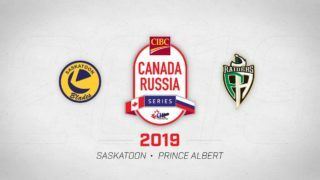 Swift Current is coming off an 8-0 road loss last night to the Prince Albert Raiders. Saskatoon leads the season series 6-0-1-0 and have outscored the Broncos 37-14. The Blades are 27.6% on the PP in the season series and 82.4% on the PK. Max Gerlach and Kirby Dach lead the offense with 13 points each in the series. 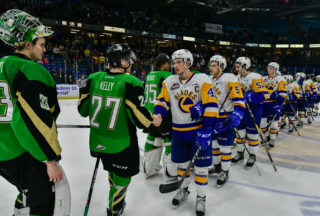 Swift Current captain Tanner Nagel leads his club with 3 goals in the series. 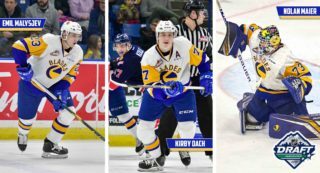 Kirby Dach has 8 points in his last 4 games, Brandon Schuldhaus had 2 goals last game, Dawson Davidson has 3 points in his last 3 outings, Riley McKay has 5 points in his last 5 games.